A blog by BGD Project manager Dr. Karl M. Smith is featured on EDF’s Climate & Us web-site. The blog describes how a combination of climate change and urban population growth are creating myriad problems for cities, including infrastructure vulnerability to extreme weather events, resource depletion, poor water and air quality and ergo, compromised human health, plus biodiversity loss. 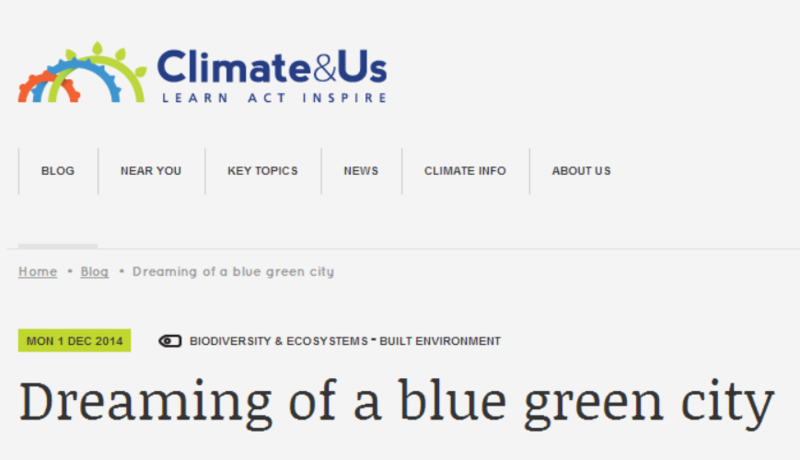 It then outlines how the Climate KIC funded, BGD consortium is creating a step-change in urban living through using a resource neutral, ecosystems services centred approach to combat the many threats that cities now face. Key to this eco-innovative concept is integrating green infrastructure (green roofs, swales etc) with urban water (blue) assets to produce multi-functional Blue Green Solutions. For further information about the BGD, contact the project manager, Dr Karl M. Smith: kmsmith@imperial.ac.uk or see the blog! 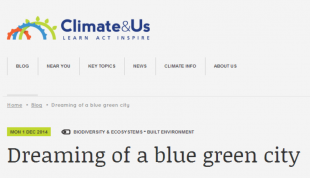 Prof. Čedo Maksimović, leader of the Blue Green Dream (BGD) project, will deliver an invited talk at the Planning for Climate Change Conference, on Dec 4th, 2014. The event will be staged at The University of London. This will be the first conference in a series across the UK and Ireland entitled ‘Planning for Climate Change’. The key focus of the day is to debate and discuss the key issues that face communities across the country when it comes to adapting to climate change and addressing the problems and opportunities that Climate Change brings. On the day they will have 12 speakers plus up to 20 display spaces and up to 250 delegates. The cost to attend as a delegate is £240 plus VAT. The reduced rate for Students and Researchers is £120 plus VAT. The Carbon Trust / Cities Climate Alliance / IMC Worldwide / Climate 21 / Great Yarmouth Council / New Anglia Local Economic Partnership / Eastbourne Council / The University of Aberdeen / The University of Reading / People for Planet / United Nations Development Programme / University College Dublin / Peter Bide Consulting / Greenhouse PR / The University of Cambridge / The University of Oxford.